I always wanted to make a system that would alert me on my phone and mail whenever someone is on the door. We often miss the doorbell of some reason or another. Using this system you will never miss anyone who knocks on your door. 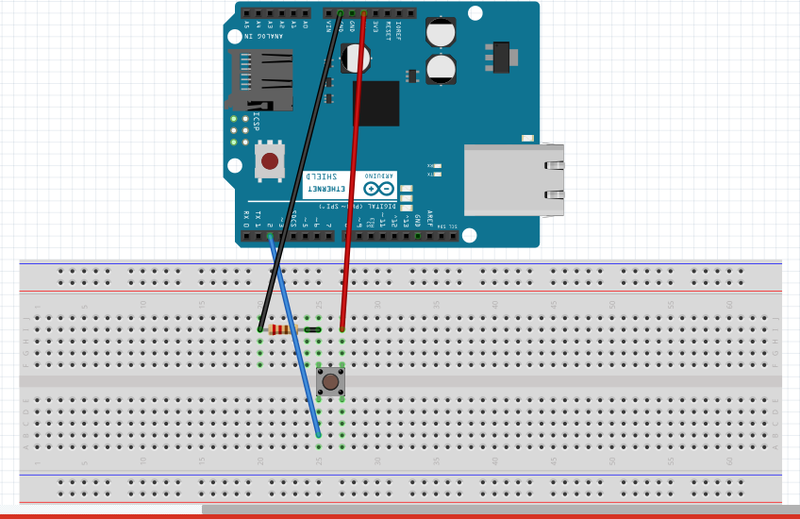 Using an Arduino and an ethernet shield to connect the button to the internet, the system uses blynk app to connect it to the cloud. The app is available both for android and IOS. The system sends an email and a mobile notification whenever it is pressed.